Deep in the Nghia Linh Mountain of Vietnam’s’ Phu Tho Province, is a complex of majestic tombs, temples and monuments known as the Hung Kings Temple. Every year, visitors from around the world congregate at this sacred location to celebrate the Hung Kings legacy at the Hung Temple Festival. The Hung Kings are ancient figures largely responsible for founding of the nation and its modern-day beliefs. The first of these ancient Vietnamese rulers is believed to have came to power in 2879 BC assuming the title of ‘Hùng Vương’. This title was inherited by all 18 generations of known predecessors, until 258 BC when the Hung Kings were overthrown from power. From their time ruling Vietnam, many folk laws of heroics, gentry and compassion have resolved. Perhaps the most significant tale told, is how one of Hung Kings taught the nations people how to farm and cook rice. In 2007 the Vietnamese government recognised the importance of these ancient figures and announced a public holiday in their honour and the Hung Temple Festival was born. The 2013 Hung Temple Festival will be held for 7 days from the 13th of April. The last and most celebrated day consists of two parts: the incense-offering ceremony and entertaining activities. The incense-offering is held in the morning at the upper temple and allows attendees to pay respects to their ancient descendants. This is followed by the incense ritual carried out by the elders and pilgrims of the nation. After the ceremony a variety of festivities can be found throughout the grounds of the Hung Kings Temple. The festivities blend traditional values and modern activities for a fun yet educational experience. 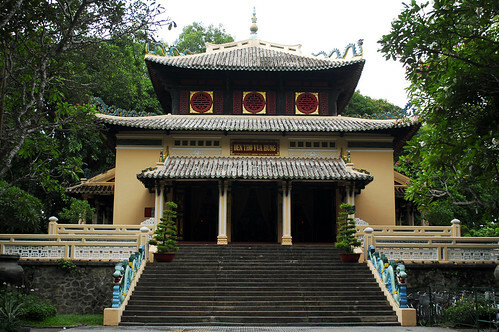 Marches processions around the temple grounds and Xoan song performance held in the Den Thuong and Lower Temple appeal to the traditionalists. While group activities like cross-bow shooting and costume dragon dancing appeal to the younger generations. Throughout the festival cakes such as the banh chung, banh giay and rice dumpling are distributed to the crowds. These welcomed treats are rumoured to have been invented by the 18th Hung King. This year’s Hung Temple Festival has an even greater significance than normal, as the event will be recognised and safeguarded by UNESCO as part of their Intangible Cultural Heritage scheme. The acceptance by UNESCO is expected to raise the profile of the festival worldwide and will be made official at the opening ceremony.